CORPORATE Social Responsibility plays a huge role in the business world, allowing companies to invest in communities and back local initiatives. 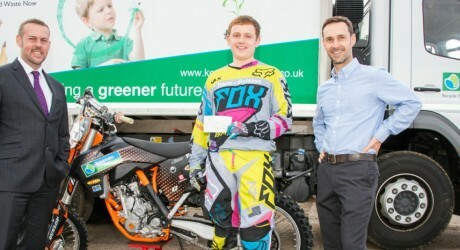 Local organics company, Keenan Recycling, which is based in New Deer, is committed to helping the local community, and has been sponsoring young local motocross champion, John Kirk, for four years as part of its CSR regime. The specialist recycling company, which transforms food and garden waste into compost, backs a number of local school initiatives, as well as sponsoring John, of Auchterless, Aberdeenshire. Offshore trainee production operator, John, 21, has been competing in the sport for 15 years, and Keenan’s sponsorship has provided a new bike set-up for the motocross enthusiast, which includes everything from suspension to new bumpers and exterior work. Not only does Keenan’s backing support John financially, but it also encourages him to push himself in competitions and training to secure high placing. 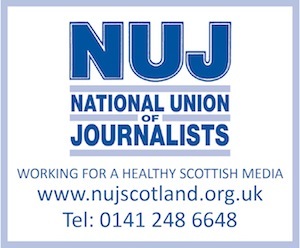 Taking part in championships and events all over Scotland also allows John to use his sponsorship to its full potential. Sponsoring John as part of its CSR allows the firm to show its support for people in the community – especially someone who is as determined and focused as John. Keenan Recycling, technical director, Gregor Keenan, said: “John pushes himself really hard to do well in competitions, and his enthusiasm is extremely impressive.